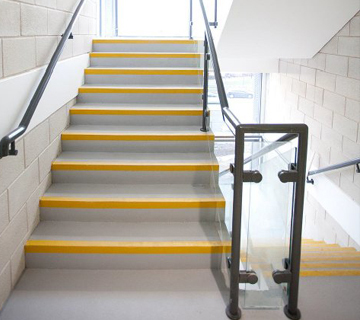 There are many environments that require anti-slip flooring to help meet health & safety standards. We can deliver Anti-slip treatments to new or already existing flooring. Car Park Coating Ltd can supply and install walkways and work areas to factory or warehouse floors, whether this on top of your new resin flooring system or an already existing flooring solution, to ensure your warehouse is safe for public use. Where powder, oils or chemicals can make the floor a slip hazard, we can provide you with a flooring solution that helps you to comply with health & safety regulations, keeping you, the public and your workforce safe. 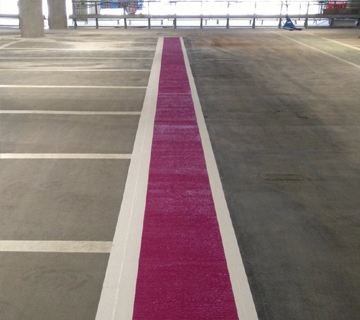 Our anti-slip treatments are also useful in car parks. 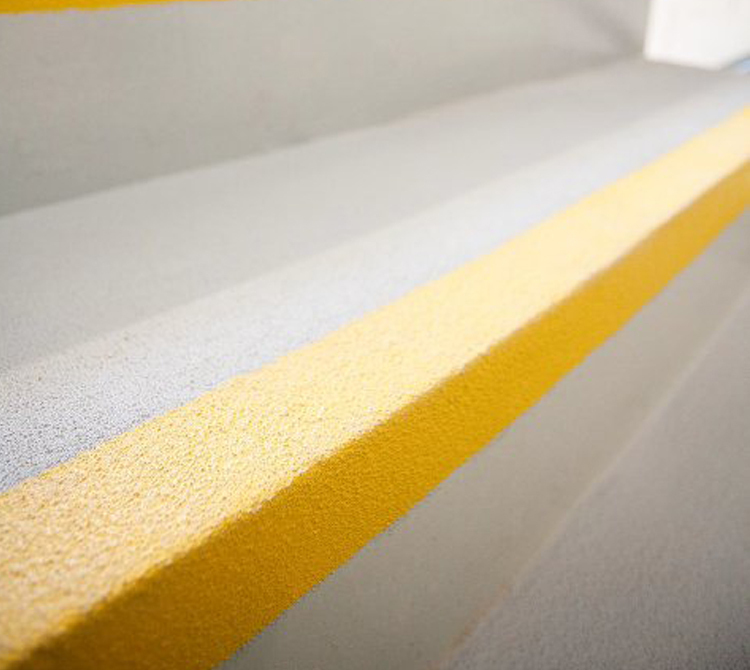 The treatment can be applied to pedestrian areas, such as stair wells, or ramps to offer cars a better grip, making the car park safer to use for the public.